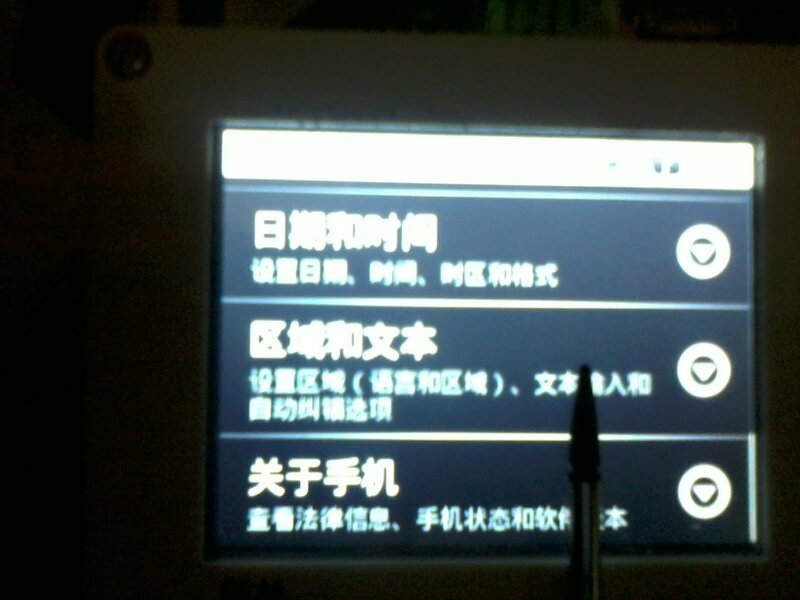 I got mini2440 board from FriendlyARM with W35 LCD (320x240) and I want to run Android at this board. 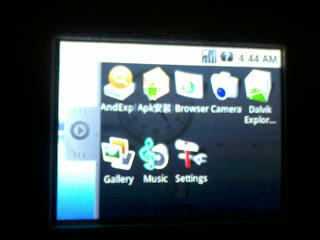 The FriendlyARM Download site provide only android for mini2440 with T35 LCD ported by shinlek. 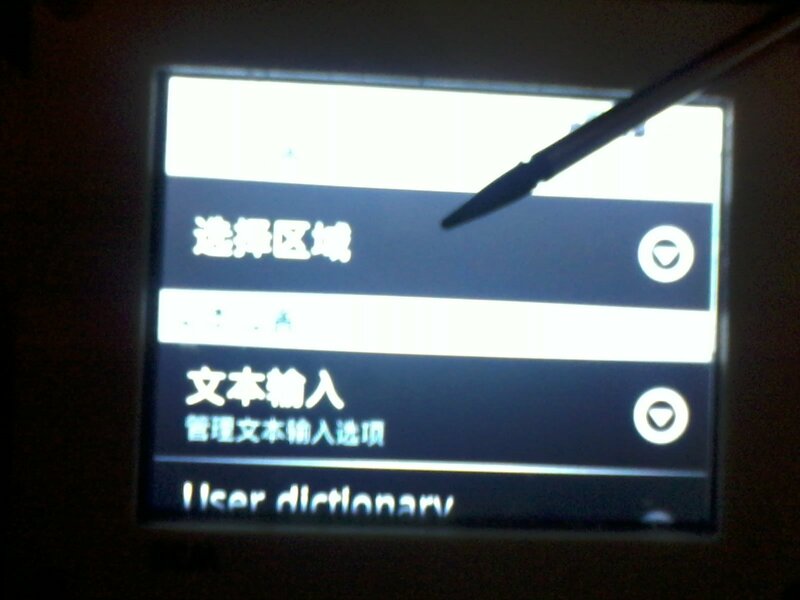 If you force to use it, the display and touchscreen will not work well because the screen become rotated 90', this is caused by the width and depth are not match. we need to adjust the kernel to make it work correctly. SuperVivi Transfer Tool for Mini2440/6410 - V0.3.5 ! Attach Serial port, run hyperterminal or similar terminal, put S2 switch to boot supervivi and press reset. Erase the nand flash using "x" then format it using "f"
Also Upload the yaffs filesyste using "y" on terminal, and upload from dnw the "mini2440T35_android.img"
Last step, upload the supervivi for android to make them available at boot time using "v" command and upload the "supervivi-128M" via dnw too. To correct the LCD size, we need to recompile the kernel and made some changes on LCD and Touchscreen size definition. To do those recompilation of the kernel, i'm using virtual mechines running ubuntu on windows. The windows still needed to upload the binary image files using windows tool. 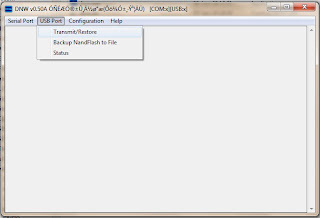 This is the toolchains contains executable gcc. Last one we got tools for creating yaffs2 filesystem, copy or untar them as root on top filesystem, it will copy the mkyaffs2image and mkyaffs2image-128M to /usr/bin/ directory. Make them executable first using "sudo chmod a+x mkyaffs2image*". To build the yaffs2 images, just run "mkyaffs2image-128 fs/ rootfs.yaffs2". 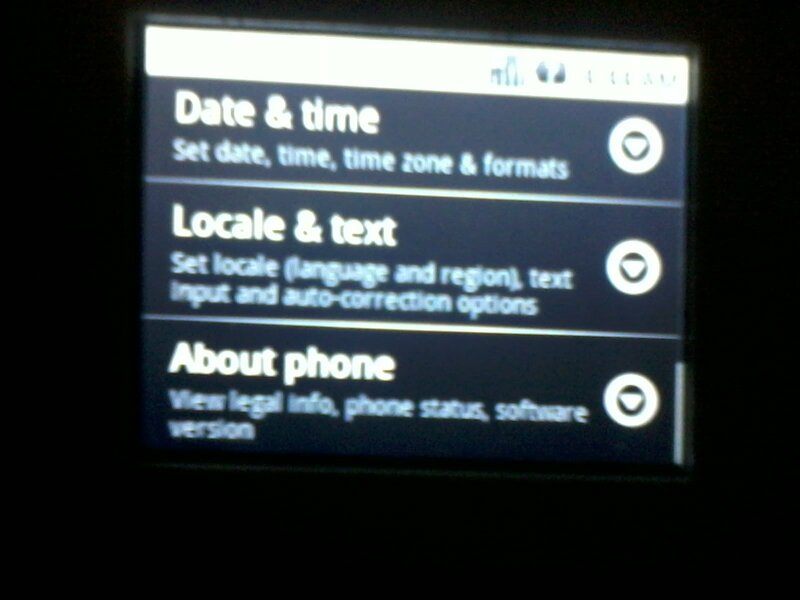 the result will have the same content as the "mini2440T35_android.img" file. You may skip this proses if no further changes are not going to be made on file system. Changes the dir_toolchains to extracted toolchains follow by prefix of the gcc, this will make the kernel source prepared for our board. exit and save. don't do any changes. 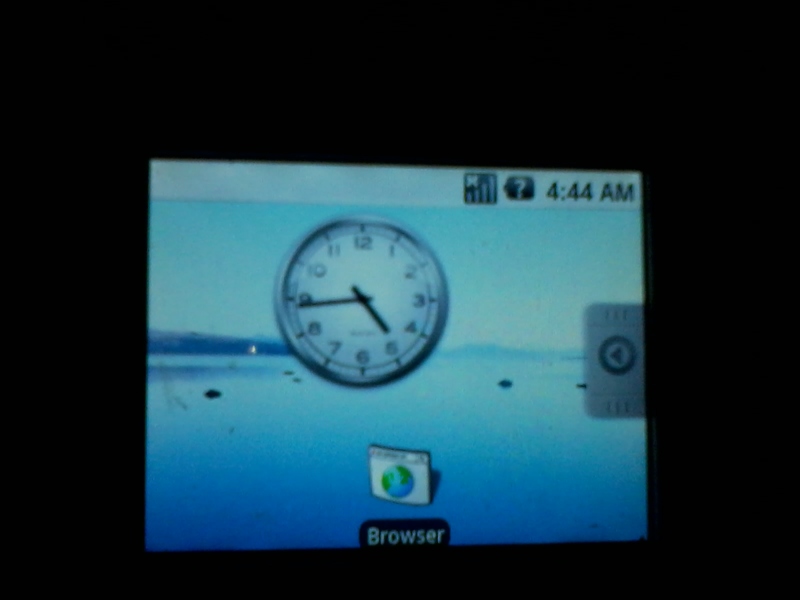 boolean "LCD-W35i 3.5inch display (LQ035Q1DG06)"
You can sit by and watch all those lines going trough your screen for some times. After sccess build you'll get your result on arch/arm/boot/zImage, copy it and send to your windows running dnw.exe. Upload it to your board using the same method as previously done. hit "b" on supervivi to boot. Here's the successful result. Aha.. we got fine result. Now the android running on 320x420 lcd. But wait, those languange are chinese. I find myself desperetly try to find where the languange setting. For you, i'm capturing those step, just follow below step to change the languange to english. 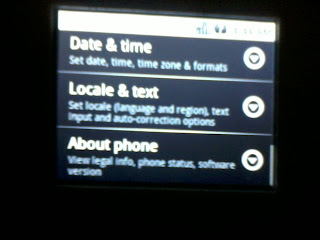 it says "locale & text" but in Chinese font. For sure you can ask Chinese people, he :P.
Click the first menu, then scroll down to english or other languange as you prefer. 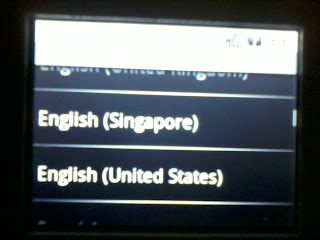 Here we get android displayed in English. Last, you'll need to flash the reflash supervivi for android to make them start at boot time. If you don't re-flash the supervivi, you'll get blank screen after booting or you can switch the boot to supervivi and keep pressing "b" to boot. Just do as above step of flashing the android, but this time choose "v" on supervivi and upload the supervivi-128m.bin using dnw.exe. I made backup on kernel changes below, for short extract them to kernel android, and replace existing. 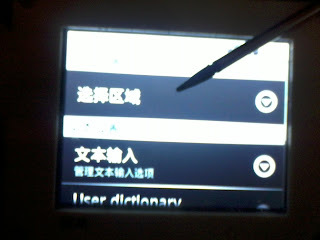 Run Make menuconfig, changes LCD display to 320x240, the rest will follow. Also you can review the changes i made and adopted to yours. I hope you enjoy your mini2440 on W35 lcd which happen to my device run very fast as fast as a turtle run, haik! i hope its work thanks. I hope these blog help you, i uploaded the pre-compiled that work with my board. in the "default.prop" file and then rebuild the filsystem. I got one question do you succeed to have "adb" with mini2440?? yes i could do that, thank you. 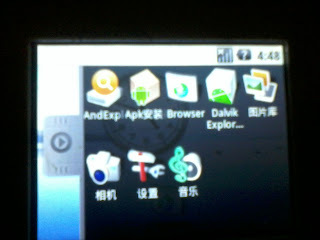 I haven't tested adb yet. may be you had do that, please inform me the result here. I am learning embedded linux using a mini2440 board. I have windows 7 as the host OS on my laptop and I have ubuntu 10.4 installed as the guest OS in virtual box. Ubuntu is able to detect all other USB devices connected but neither Windows nor Ubuntu is able to detect the mini2440. I read in their forums that mini2440 usb drivers are not compatible with windows 7. Will the setup you have provided help me? Excellent work! I too learned embedded linux using a mini2440 dev board with W35 LCD screen. Now I'm going to try following your guide. Hi dr. Susetyo, Last time i meet him was on my way home after work few years ago (arround 2006-2008 i think), his mobile phone number was not work anymore. May be you could contact the new pt. pattra, there's a website of them at: http://ptpattra.com/files/index.php. there's a phone's number available. I hope you can reach Pak Doni, and also send my regards to him. Did your steps ported android in vertical alignment to W35 display ??? 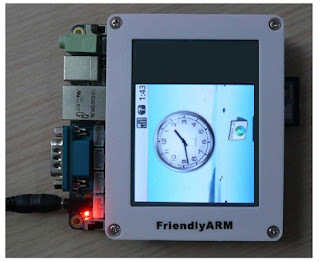 hello i bought a mini2440 and want to install android, but the image files for android are no longer available on friendlyarm website. where can i get them from?